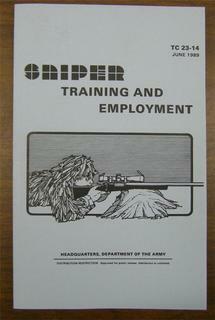 Sniper Training & Employment Miitary Manual. Rifles...Camouflage...Markmanship. 180 pages. TC 23-14.